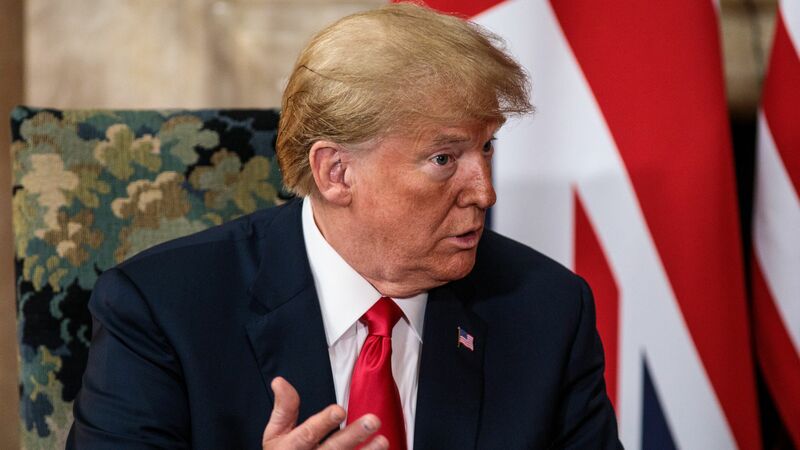 President Trump is including the European Union in his list of biggest global foes, telling CBS' Jeff Gloor in a segment that airs on "Face the Nation" that he lumps EU trade issues alongside threats from China and Russia. Why it matters: The Europeans are, with the U.S., the core of the western alliance. This is a break from tradition, and comes right before Trump's summit with Vladimir Putin. PRESIDENT TRUMP: "Well I think we have a lot of foes. I think the European Union is a foe, what they do to us in trade. Now you wouldn't think of the European Union but they're a foe. Russia is foe in certain respects. China is a foe economically, certainly they are a foe. But that doesn't mean they are bad. It doesn't mean anything. It means that they are competitive." JEFF GLOR: "A lot of people might be surprised to hear you list the EU as a foe before China and Russia?" PRESIDENT TRUMP: "No I look at them all look, EU is very difficult... I love those countries. I respect the leaders of those countries. But -- in a trade sense, they've really taken advantage of us and many of those countries are in NATO and they weren't paying their bills and, you know, as an example a big problem with Germany. Because Germany made a pipeline deal with Russia. Where they're going to be paying Russia billions and billions of dollars a year for energy and I say that's not good, that's not fair. You're supposed to be fighting for someone and then that someone gives billions of dollars to the one you're, you know, guarding against, I think it's ridiculous so I let that be known also this time. I'll tell you what, there's a lot of anger at the fact that Germany is paying Russia billions of dollars. There's a lot of anger. I also think it's a very bad thing for Germany. Because it's like -- what are they waving a white flag?"